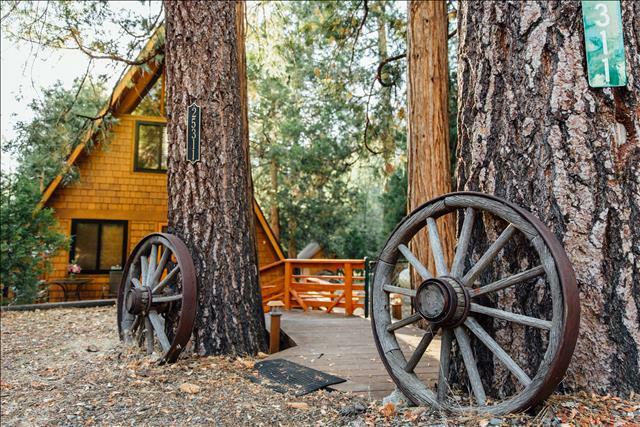 Idyllcreek A-Frame Vacation Cabin is an original 1960’s A-frame cabin located at the very end of scenic Boulder Drive in Idyllwild, California. Every bit as serene and charming as it looks, Idyllcreek provides a mountain experience that is rugged yet accommodating. We felt like we had the whole forest to ourselves! Just as cute as you’d hope! Jacuzzi was a hit even in the summer and night stargazing through the pines! Perfect summer weather, fans A/C worked great! 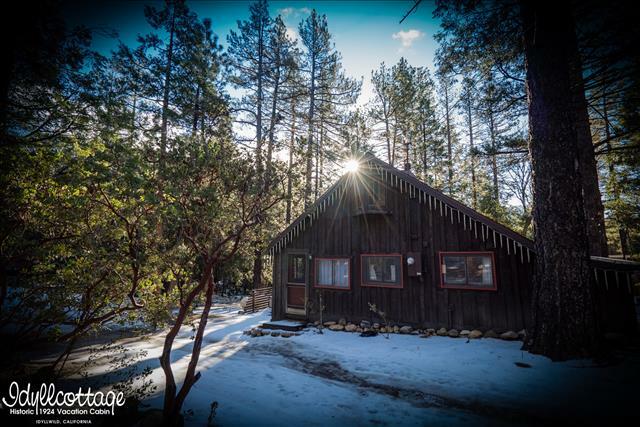 Close to town, everything we needed for 2 adults...read more. This place is just WOW! From the floor to ceiling windows, the outdoor fire pit, the serene sound of quiet, & the outdoor jacuzzi- what more could you ask for!? Erin & Kelley were so incredibly accomm...read more. I got so many inquiries after posting a couple pictures on social media! This place was cozy, relaxing, and so much more. We brought our 2 dogs, this town loves dogs! 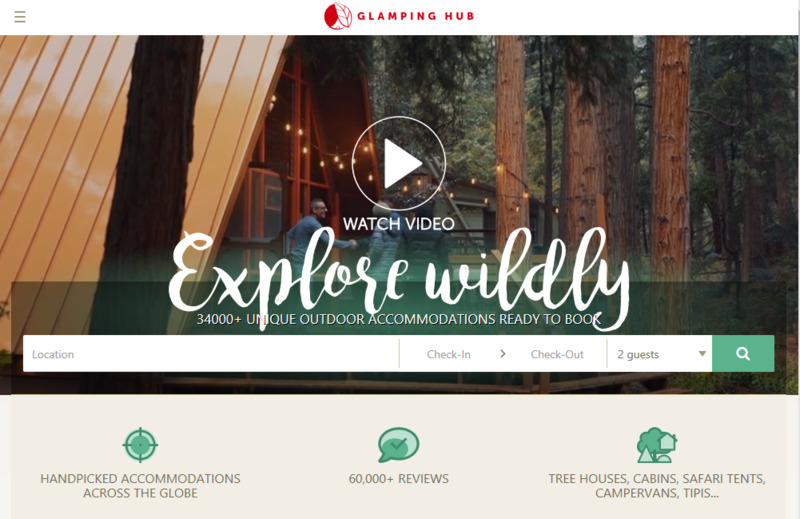 The cabin has everything you coul...read more. Wonderful cabin fully stocked with everything you need, just bring food and a good book and you're set. Neighborhood is quiet and peaceful. Perfect getaway ?? Everything there was just as we expected. Kelly reached out to us with timely and complete information about how to find the house and get in. Everything there was just as we expected from the photos - clean, pleasant, comfortable and attract...read more. Best AirBNB Experience I've had yet! I had a great time at Idyllcreek. It has probably been the best Airbnb experience I've had yet. The cabin was really cute and everything was neat clean and as described. I definitely would want to go ...read more. The cabin is great! 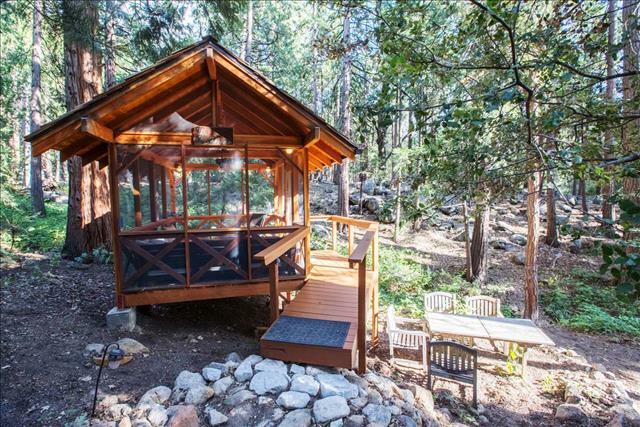 Idyllwild is a hidden gem. A lot of people talk about Big Bear or Lake Arrowhead, but this is a great alternative and feels easier to get to. 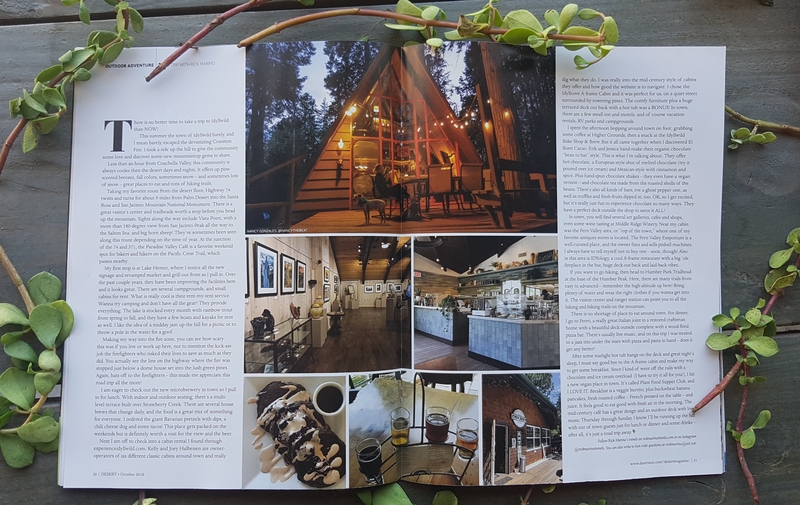 The cabin is exactly as depicted and d...read more. 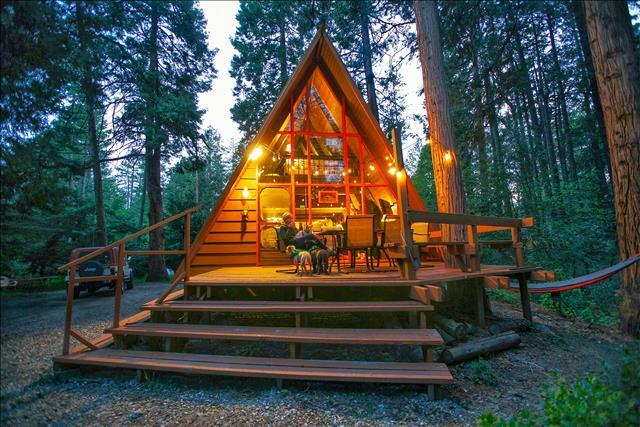 We had such a wonderful stay at Kelly's A-frame cabin. It was just a short 10 minute walk from town, and the property was beautiful. We loved hanging out in the hammock, playing games on the porch (th...read more. If I could rate this more than 5 stars I would! I cannot begin to thank you for the wonderful cabin experience we had! After all of the photos I posted on FB and IG of our stay there I was forced to g...read more. Kelly was a wonderful hostess, and this property is truly one of the finest airbnb's that I have ever stayed in! Beautiful, peaceful, spiritual, immaculate... I highly recommend this one (if you can g...read more. Idyllcreek sleeps 4-6 people (1 King bed, 1 Queen bed and 1 inflatable aero bed). A well equipped kitchen, wood burning fireplace, hot tub and walking distance to town make Idyllcreek the perfect mountain retreat. 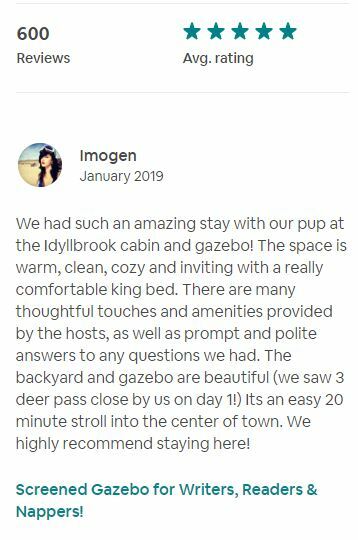 Idyllcreek is a non-smoking, dog-friendly property. Cleaning Fee: To keep the cabin beautiful for your enjoyment, a cleaning fee of $85 is charged with your reservation. Security Deposit: All reservations require a $250.00 security deposit. Woodpile: $15 per night - a convenient and less costly alternative to buying wood by the bundle in town. 10% discount on all nights. 2 night minimum. May not be combined with other coupons.